Paws Awhile: Grass Seed - Not As Innocent As It Looks! Grass seed may look harmless but don't be fooled! 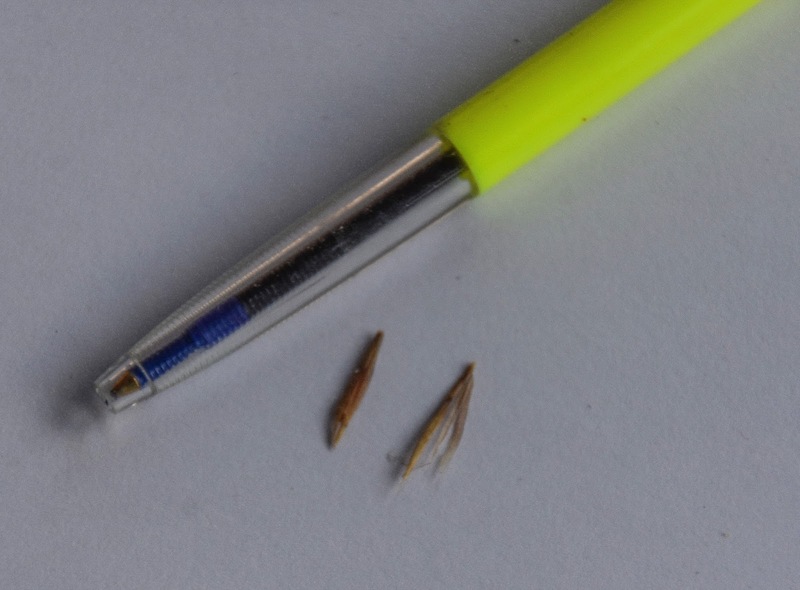 These pesky, dart-like seeds can cause pain, infection and in the worse cases death for dogs. When staying in Dunedin our smallest dog 'Boo' started to squeal when we touched her ear. It was Saturday afternoon so finding a vet that was open was a challenge. Fortunately we found one in Dunedin. 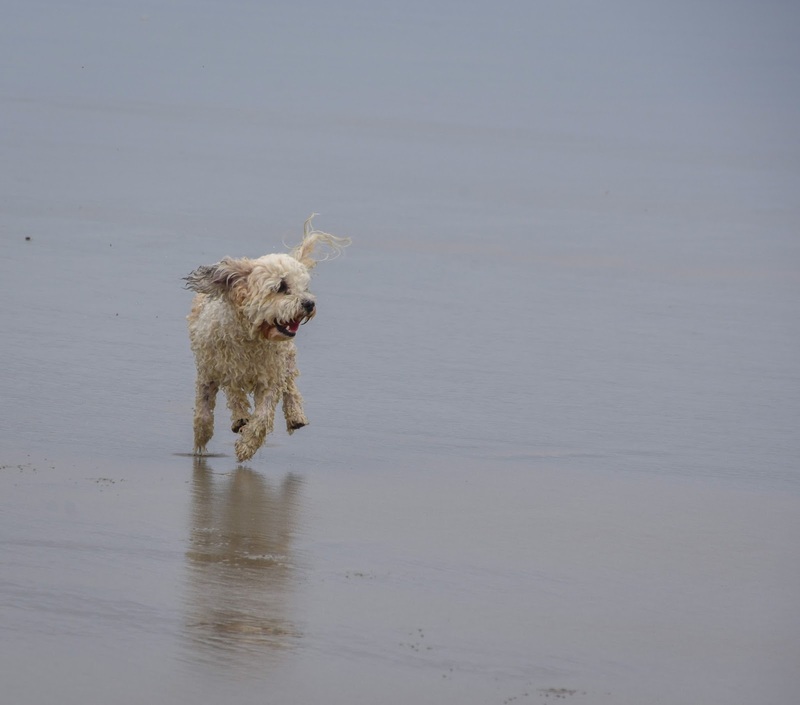 After Boo was examined the vet decided she would need to be sedated to examine her inner ear. Being the weekend there weren't enough staff present so we were asked to make an appointment for first thing Monday morning. We took Boo home after she was given an antibiotic injection and an injection for pain. Monday morning arrived and we were at the vet on opening time. Another vet was working and when he examined Boo again she wasn't displaying any sign of pain and her ears looked clear. There was no need for sedation and we returned home feeling relieved. Later that evening as Bernie was trimming Boo's fur he noticed a scab on her tummy and a lump above it. We were worried it could be grass seed. First thing next morning we were back at the vet - this time the vet just around the corner from where we were staying. We'd been told about this particular vet - he had a fantastic reputation and people traveled to have their dogs seen by him. The vet clinic had barely opened its doors and already it was busy. The waiting room was full of owners and their dogs. It seemed we'd be in good hands by the amount of pet owners waiting for this reputable vet to see their pooches. We were lucky, or rather Boo was. She just lay in Bernie's arms like a wee statue and the vet found and removed two grass seeds without having to sedate her. After an antibiotic injection we were able to take her home. 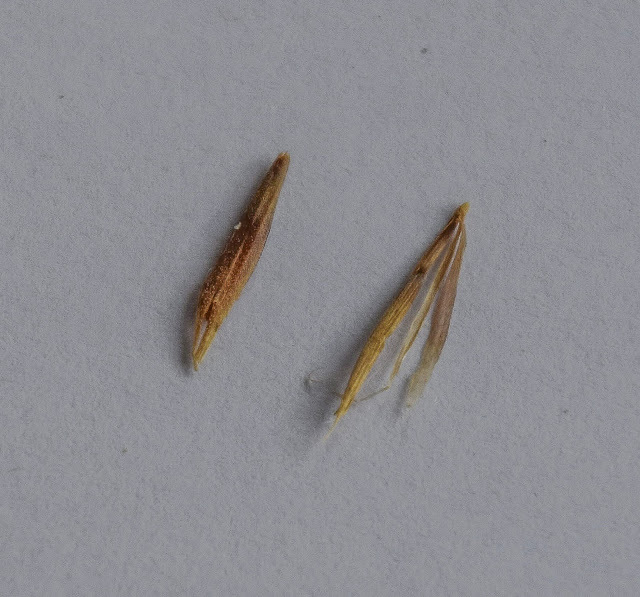 The grass seed removed from Boo's belly. To give an indication of the size of the seeds. 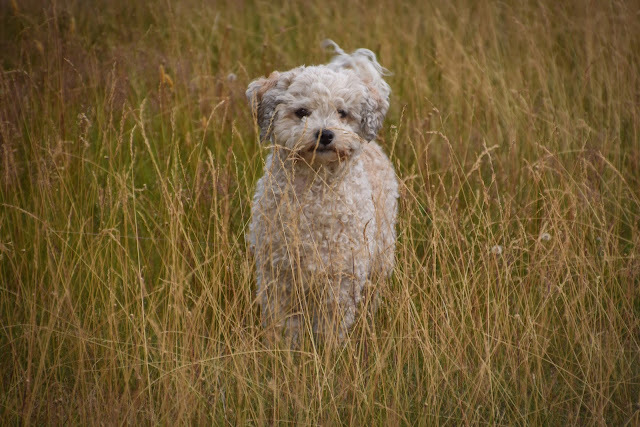 If walking your dog in areas of tall grass or grass that’s obviously seeding it’s important to check your pooch often for these seeds. Check between toes, in ears, armpits and groin areas. However it’s best for a vet to remove it and ensure the entire seed has gone, rather than attempt it yourself (unless they’re close to the surface and easily accessible). These dart-like shaped seeds can easily embed into your dog’s skin. They then migrate through the body, tracking infection as they go.Grass seed won’t show up in an x-ray because they are made from vegetable matter. If the dog is hard to keep still or the seed has tracked further into the tissue then a general anaesthetic maybe needed to surgically explore the area and find the seed. Back to her sassy-self again - yay! I wonder how farmers manage with their working dogs who are amongst grass seed every day?